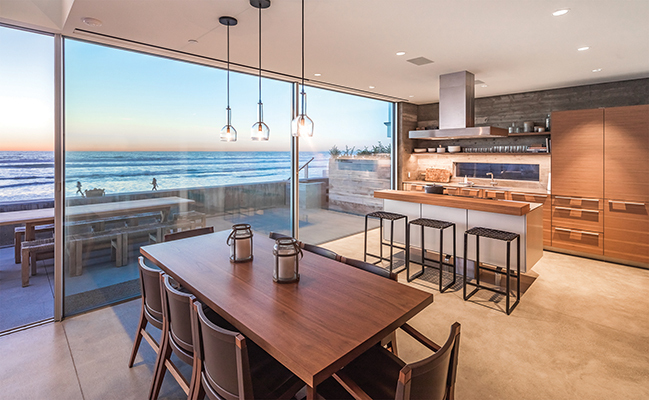 Photo courtesy of Barry Estates Inc.
San Diego  This modern beach house on the sand in Del Mar defines the California beach lifestyle. The entire facade of the two-story home is large panels of glass that frame the priceless view. No opportunity to revel in the broad expanse of white sand and the vastness of the sea was wasted on architectural features that might obscure the view. The warmth of the sun pours in by day; the moon glimmers on the water by night. 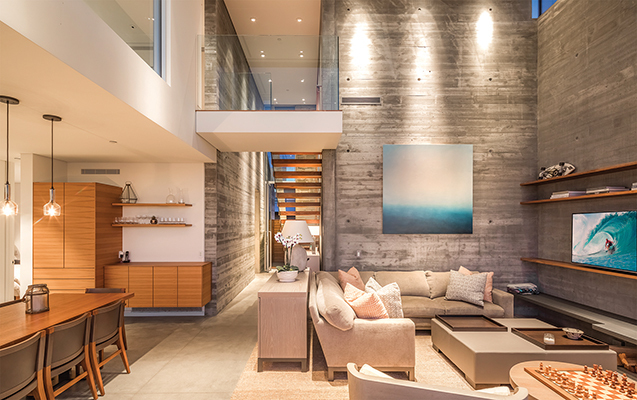 Designed by local award-winning architects, Batter Kay Associates, the home is the consummate example of the creative use of space to enhance an environment. Listing Agent: Laura Barry, Barry Estates Inc. Features: Upper level deck off of master bedroom, electronic shades, Waterworks tile in all bathrooms, Holly Hunt light fixtures, Bulthaup custom gourmet kitchen, Miele appliances, Christian Liaigre furniture that conveys, electronic gates, low-maintenance salt-air resistant features, outdoor shower, foot wash, concrete seawall with a stairway to the sand, expansive patio with firepit and an outdoor barbecue station.